Minister for Foreign Affairs Timo Soini will visit Washington DC on 5–8 February and attend a Meeting of Foreign Ministers of the Global Coalition to Defeat ISIS, hosted by US Secretary of State Mike Pompeo. In addition, Minister Soini will have meetings with representatives of the administration and participate in the annual National Prayer Breakfast, hosted by members of the US Congress. Foreign Minister Timo Soini will meet US National Security Adviser John Bolton on Friday 8 February in Washington DC. The topics of their discussions will include transatlantic cooperation, security in Europe and the situation in Afghanistan. Soini will also hold discussions with President Trump's Special Envoy to the Middle East Jason Greenblatt, representatives of the Senate and various think tanks. 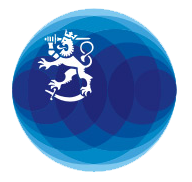 On Wednesday 6 February, Soini will attend a Meeting of Foreign Ministers of the Global Coalition to Defeat ISIS. The meeting will take stock of the results of the work and consider future activities of the coalition. One of the main objectives of the coalition is the stabilisation of Iraq and Syria through humanitarian assistance and development cooperation. In his speech at the meeting, Foreign Minister Soini will highlight Finland's contribution to the fight against ISIS and underline the importance of addressing the root causes of terrorism. Soini will emphasise democracy, good governance, and human rights as well as the need to address young people's lack of prospects and their participation in society. Additionally, he will stress the need to strengthen women's role in peace processes. While in Washington, Minister Soini will also attend the annual National Prayer Breakfast, hosted by the US Congress, where the US President has traditionally given a speech. Inquiries: Riikka Taivassalo, Special Adviser to the Foreign Minister, tel. +358 46 923 4581.